If you played on the Entity 303 The Final Shadow, then you will most likely be interested in trying to play in a new part of the continuation of this fascinating gaming adventure! Null: Shadow Return is a new stage in this series of adventure maps for Minecraft Pocket Edition. 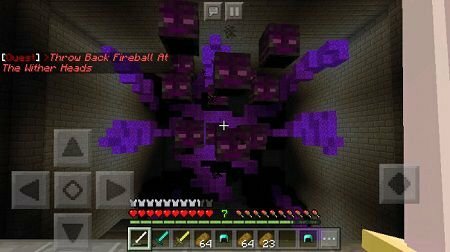 You can visit a new dimension called Null in the MCPE universe, fight with various horrible monsters and reveal all the shadowy moments. 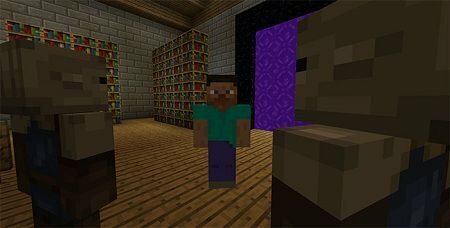 Here, players are invited to try their hand at various tests, which will perfectly suit both beginners and experienced players of Minecraft PE. In this map you are waiting for different adventures and tasks, as obstacles here are the tracks for parkour, the battle with aggressive monsters, as well as battles with stronger and dangerous monsters bosses! On the front there are additional models for living creatures, new textures, as well as unique sound design. In general, everything is here to make the gameplay unique and unforgettable for every Minecraft player on the smartphone. We recommend you to try this map with a fascinating adventure. Have a good game!